With the iPhone, you pretty much always have a ready connection to the Internet. The calling packages available through AT&T include unlimited data access, so you can surf the web on your iPhone most anywhere you have cell coverage. And unlike other cell phones I've tried which claim to have web browsing features, the iPhone uses a real browser (a version of Safari) so the web looks the same as it does on a regular desktop computer. Thanks to my iPhone, I can check in on our message boards while I'm out shopping or walking around a theme park. The iPhone goes places your regular computer does not. Being able to check a menu on the way to a restaurant, or check on a flight while you're enroute to the airport is really helpful. I also use my iPhone in my hotel room when my husband Dave is using the laptop. At the moment, I'm using the iPhone while lying prone in bed with the flu -- I feel too weak and dizzy to sit up and use the laptop. Once again, the iPhone proves itself invaluable. Now if only the iPhone could sing me a lullaby so I could sleep and get better -- oh wait, my iPhone DOES do lullabies. I uploaded several CDs of lullabies for my son Alexander. But that is a topic for another day. I love my iPhone. Hope you are feeling better today, Jennifer! I don't have an iPhone just yet but will in the future so I enjoying how you are finding ways to use yours. Will you be telling us how you set up the iPhone to blog to forum message technology you used during Mousefest? That was very cool! Thanks, Scott -- I am doing better today! Glad to hear you're getting an iPhone one day! Yes, I will write a detailed post explaining how I set up my iPhone to send photos back while I was at MouseFest. Watch for it sometime this weekend. There is a less expensive way for many of your readers to get most of the functionality of an iPhone--with the iPod touch . I don't have an iPhone for two reasons--I love flip phones and hate candy bar models. The other reason is I am in the middle of another phone contract. But I get most of the bennies you describe with a Touch iPod, which is only $299. One of the things I tuck into my Passporter is a printout of free wifi locations--Then if I need Internet access, I just duck in. Mostly, I use it for checking the weather, which I do with my free wifi at the hotel. My husband has Internet service on his phone, and while the interface isn't as good as an iPhone, the speed is fine, so we can fill in the critical gaps of checking park times or getting directions on the fly. I have used the contact, music and alarm features of my old Classic style iPod for years, but the Touch iPod's wifi access is great. I just thought I would mention this for people who can't switch to the iPhone provider for whatever reason but would love to have the features. And it is $100 cheaper than an iPhone. You're right, Mochahead -- the iPod touch is a less expensive alternative to an iPhone. iPod Touch owners cannot access the Internet without wi-fi access like iPhone owners can, but that may not be an issue for everyone. It isn't quite as useful while travelling at Walt Disney World, due to the scarcity of wi-fi access, but still useful. The iPod Touch would be great on a Disney cruise, however, as you don't want t use the cell phone for data transfer while outside the U.S. anyway (due to the high rates). Thanks for sharing! Hey Jennifer! I've got a question: I might be willing to pay $60 a month, but the iPhone and iTouch SDK is coming out in February. Should I wait and set up Skype so that I can make (and take) calls, or should I wait and get an iPhone? I am normally in places where either the Wi-Fi access is terrible or nonexistent, which probably will factor in to the decision I make. I'm willing to eat the slowness of EDGE, as well. 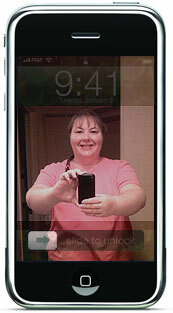 I am not going to wait for the real iPhone 2.0, but I'm certainly going to see if an iPhone is the right decision. Hi Jennifer ive spent most of the day reviewing my phone options. i would LOVE this phone but the reception here for AT& T isnt so great, but I couldnt help myself from looking at all the applications. and OMG! you probably already know about this but i discovered the COOLEST app of all! 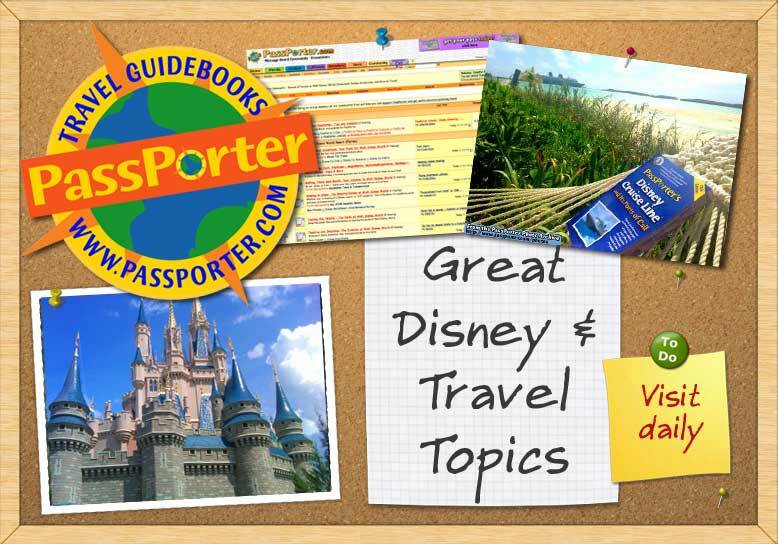 Disney Park Maps.... http://www.apple.com/webapps/travel/...ingdommap.html. Now i HAVE to get this phone!!! How does the iPhone work in locating you on Google Maps at the Disney Parks?